John Schwarten posted a message. 100th ETHS / New Trier dual meeting is Dec. 14. John Schwarten posted a message. New comment added. John Schwarten updated his profile. View. Alex, If you're ever near LI Sound, I'm always looking for crew..... I race a J-29. John Schwarten added a photo to his profile gallery. New comment added. John Schwarten has left an In Memory comment for Jeff Claborn. What I heard was that the crash was on an interstate in Iowa and the other driver was a drunk going the wrong way. I remember 6 of us piliing in to his TR3 on hot summer nights. He has been missed for a long time. In with the sharks tomorrow morning early. Thanks to all who have donated! Any support will be appreciated! John Schwarten posted a message on Lance Stouffer's Profile. John Schwarten added a photo to his profile gallery. John Schwarten added a comment on his Profile. John Schwarten has left an In Memory comment for Richard Nopar. John Schwarten has left an In Memory comment for Charles Morito. Charlie, Charlie Hollins and I went to Blackhawk games together. I remember hearing that his parachute did not open on a jump somewhere. 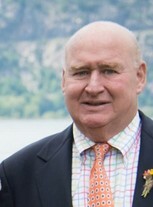 John Schwarten joined via Class Connection Facebook app.